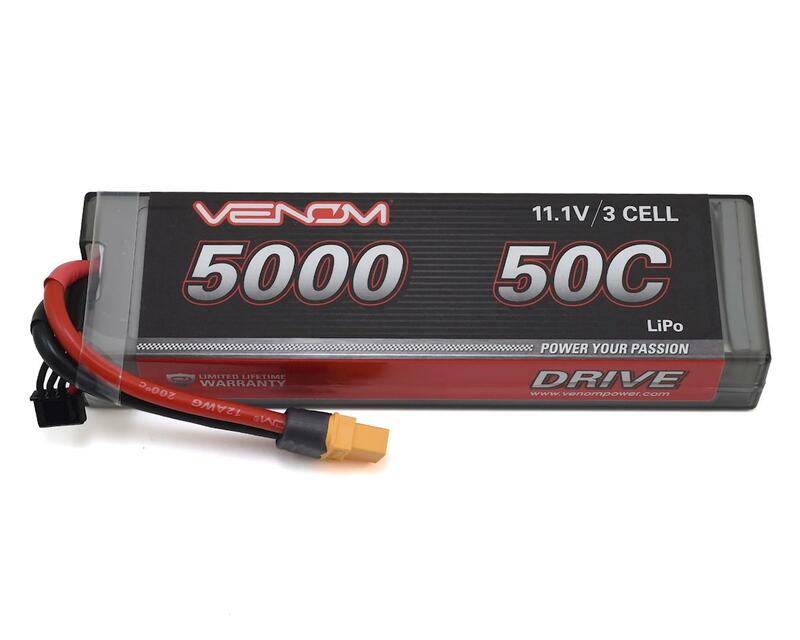 Venom DRIVE batteries now include the Venom Universal 2.0 (UNI 2.0) Plug System! The Venom 50C 3S 11.1V 5000mAh LiPo Hardcase Flat Pack Battery with UNI Plug was specifically engineered to fit within a 7-cell flat pack NiMH footprint making this the perfect high power solution for most Traxxas vehicles. When you want a powerful battery pack that you can depend on even when you push it to its limits, this is the battery for you. 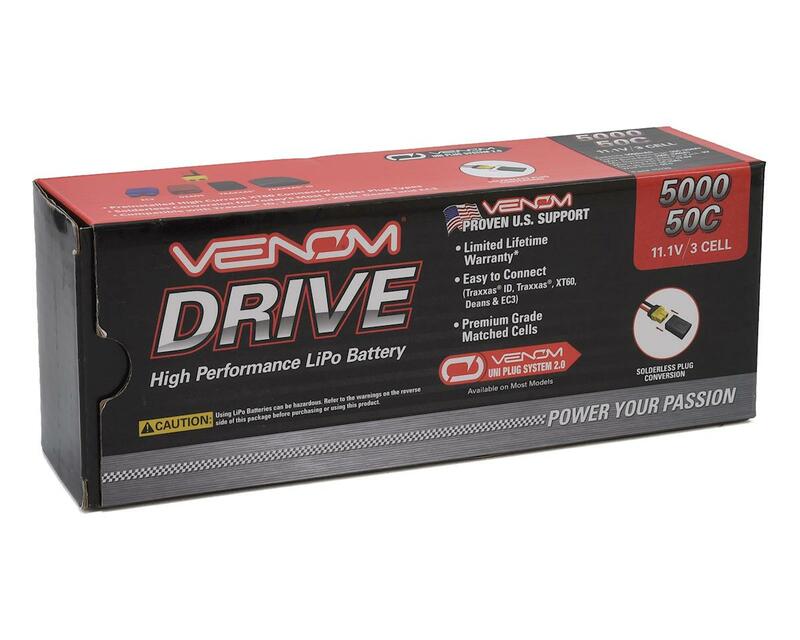 Whether you have a short course truck, buggy, monster truck, heli, jet, airplane or quad, this battery pack delivers the results and run-time you have come to expect from all Venom batteries. 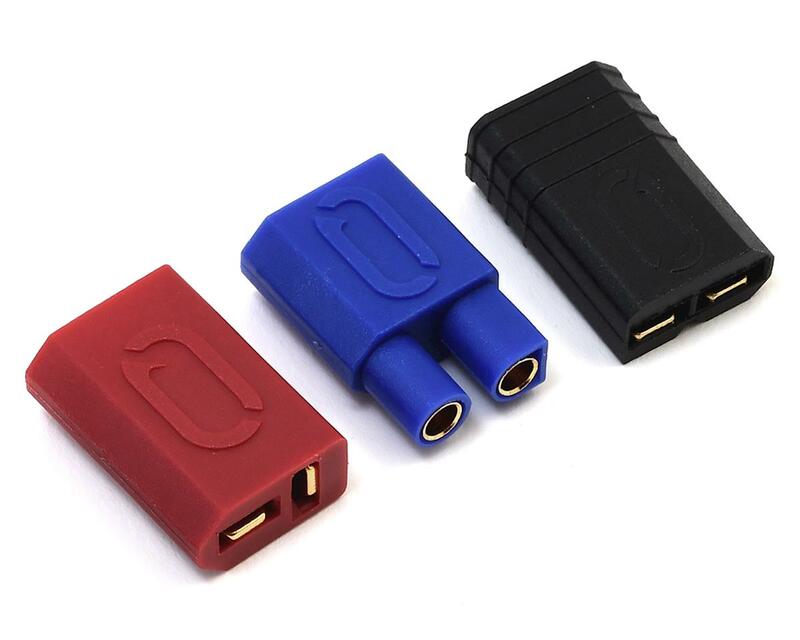 With features like ultra low resistance 12 AWG soft silicone wire leads and the patented High Current Universal Plug System (patent no. 8,491,341), you can depend on.